Much of my recent work has addressed the climatic effects of landcover change both through climate model studies and observational analysis. 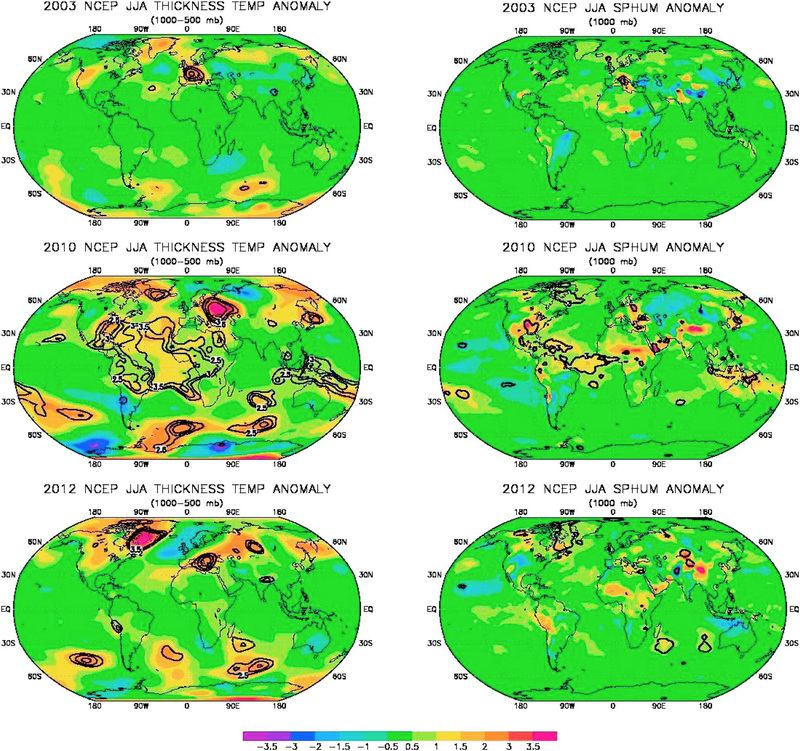 I am particularly interested in atmospheric circulation changes which may have resulted from recent landcover changes and interactions with other natural circulation regimes such as those due to El Nino/Southern Oscillation or monsoons. Because changes in tropical circulation have been strongly related to the recently observed planetary surface warming, this research is relevant to the issues of greenhouse warming. A main issue for the future is adequately characterizing the changes in land surface properties over the course of time. I have also been involved in examining general feedback behavior to changes in the climate system, particularly as mediated by the hydrological cycle. Because the hydrological cycle is strongly coupled to the biosphere, landcover change has many implications for hydrological cycle feedbacks and may explain some discrepancies between model simulations and observed behavior. One example of a regulation mechanism mediated by the hydrological cycle under investigation here is seen in observations of mid-tropospheric Arctic winter temperatures where a minimum is reached in late autumn which is not exceeded later in the winter despite several months of continued net energy loss. This minimum temperature can be related to convective activity over open ocean and suggest the presence of an active regulation mechanism. We found that there is an increasing trend in heat waves and positive specific-humidity anomalies and a decreasing trend in cold waves and negative specific-humidity anomalies. And similar patterns in the global trend in variability exist for both temperature and specific humidity. This means areas of increased variability are not necessarily the areas that have experienced extreme heat waves. The follow-up study to this work relates heat waves globally to changes in soil moisture.One theoretical consequence of the CO2-warming hypothesis is that increases in atmospheric humidity will greatly amplify the warming signal due to CO2 alone and will also amplify extremes. We investigated the magnitude and spatial extent of extreme temperature and specific humidity events in the extra- tropical northern hemisphere. Chase is also one of the CIRES Faculty who teach at the University of Colorado Boulder with teaching loads equivalent to those of CU faculty rostered solely in departments and programs.